The huge increases in immigration over the past decade were in part a politically-motivated attempt by ministers to socially engineer a more multicultural Britain, a former government adviser said yesterday. Andrew Neather, a speechwriter who worked in Downing Street for Tony Blair and in the Home Office for Jack Straw and David Blunkett, said Labour’s relaxation of controls was a deliberate plan to “open up the UK to mass migration”. As well as bringing in hundreds of thousands more migrants to plug labour market gaps, there was also a “driving political purpose” behind immigration policy, he revealed. Ministers hoped to radically change the country and by doing so “rub the Right’s nose in diversity”. But Mr Neather said senior Labour figures were reluctant to discuss the policy, fearing it would alienate its “core working-class vote”. On Question Time on Thursday night, Mr Straw was repeatedly quizzed about whether Labour’s immigration policies had left the door open for the BNP. Writing in a London newspaper, Mr Neather revealed the “major shift” in immigration policy came after the publication of a policy paper from the Performance and Innovation Unit, a Downing Street think tank based in the Cabinet Office. The published version promoted the labour market case for immigration but Mr Neather said unpublished versions contained additional reasons. He wrote: “Earlier drafts I saw also included a driving political purpose: that mass immigration was the way that the government was going to make the UK truly multicultural. Mr Neather defended the policy, saying mass immigration has “enriched” Britain, and made London a more attractive and cosmopolitan place. But he acknowledged that “nervous” ministers made no mention of the policy for fear of alienating Labour voters. Here's the new video posted on Vimeo. 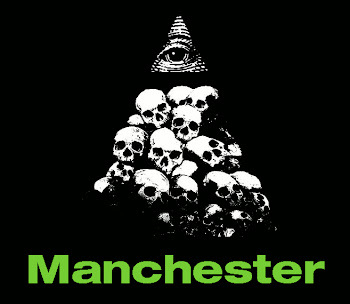 Illuminati Manchester Part 2 from Sam Bamford on Vimeo. Second video in this series finished and uploaded. Feel free to spread the word. 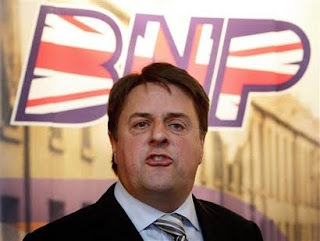 Just watched Question Time on BBC 1 which has caused so much controversy today because of the inclusion of Nick Griffin of the BNP. Talk about someone being thrown to the lions. I can honestly say I've never seen such an appallingly biased programme in my entire life. Yes I know this is off kilter, but as Nick Griffin represents this area in the Euro Parliament, I feel obliged to comment. Before anyone gets excited, I'm not a BNP member or supporter (The whole system of Party Parliamentary Democracy is a sham used to control us) but how anyone could call this a fair discussion programme is beyond me. Griffin was bullied, harangued, and barely given a chance to explain himself by both the other panel members and the obviously hand-picked studio audience. Any right minded person watching Question Time tonight could surely not take any satisfaction from this totally one-sided charade masquerading as democratic television. I'm a great believer that the Illuminati will use any weapon in their arsenal to divide and conquer us, including mass immigration. But I have always had a suspicion that the BNP's recent growth was State sponsored to act as a safety valve for any resulting public resentment to the Illuminati plans for One World Government . Griffin's links to Freemasonry added fuel to my suspicions. After watching tonight's Question Time, I only hope Nick Griffin is on their payroll and enjoying the fruits that entails, because otherwise the bloke has more courage and fortitude than 99% of the population to put himself through the vilification and bile on behalf of his dubious beliefs, than anyone I personally know - and that would be a sad indictment on the population. Been away for a week, but hopefully I'll have 'Illuminati Manchester' part 2 finished this week. Don't forget to send me anything You think I might be able to use. Been sent this great video featuring the legendary Michael Tsaurian. If you're not aware of this bloke - do a google search. He's up there with David Icke. This is one of the best videos on Youtube for a grounding on the enemy we face. This Painting is currently taking pride of place in Manchester Cathedral. The thing is replete with symbolism. . . if you know what You're looking for of course. The reason for it taking such prominence in the Cathedral is surely an indictment on so-called religion. Take a while to peruse it, its like looking at that old cartoon 'Where's Wally?'. A few to look out for - The freeing of the Reptile by the Darkside? The Trinity? 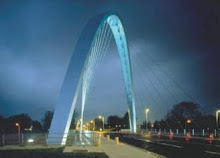 The Arch? The Dog Star? Saturn? Plus loads more...Have fun. Blatent symbolism outside Wythenshawe Forum. Seems like they're not even really trying to hide their real beliefs anymore.